How to Apply Skin Care Products in Correct Order? Are you applying your skin care products in right order? We know that nowadays women take care of their skin with closed eyes. But did you know that there is a particular manner to apply your skin care products with an effective order. People never get worry about what order they follow while eating or dressing, as it does not matter at all. But not following the correct order of skin care products, can lead you to an ineffective result for your skin. Though, skin care is believed to be comprehensible, which can provide an easy routine to follow for effective skin result. The practice of applying skin care products in correct order starts with cleansing your face. A fresh and clean face would be very helpful in getting an effective result. Use a gentle cleanser to wash your face, while getting rid of all traces of dirt, oil or cosmetics. Do not scrub your face abrasively, as it can harm your skin. Gently wash your face, followed with a toner to complete the cleansing step. The next step of these skin care tips is to use any spot treatment of medicated creams. Dr. Diane De Fiori (Australian based dermatologist), prescribed that the spot treatments or medication creams should be applied as close to the skin as possible, since it can maximize the benefits of this treatment. Most of the people think that these products are not effectual, but the fact is that they apply them in a wrong manner. It is also said that these medicated products are allowed to penetrate into the skin. Therefore, it results an acne free skin, if used in a right order. Serums are rich in nutrients that should be close to skin for a better result. Make sure that your apply serum before moisturizer, as serums are more potent that other products. It is also said that serums seep in to your skin and make your skin more effectual. On the other hand, we do not use serums with a soothing cream, as it tend to be drying very easily. In the order of correct progression of skin care products, the next step is to moisturize your skin. Many skin experts depicts that moisturizers are not tend to change your skin, but it helps the skin to be hydrated and also strengthens obstruction feature of your skin. You can also acquire a youthful glow by using moisturizer regularly on your skin. Protecting your skin with a sunscreen lotion is the most important practice of this correct order of skin care products. However, most of the people are in confusion with this step. Since, some skin experts describe that it is not necessary to apply sunscreen products after moisturizer, the order can be reversed. But the actual thing is if you are using a chemical sunscreen product, then it is good to apply it before moisturizing the face. On the other hand, if you are using a natural sunscreen, then you can apply it after moisturizer. 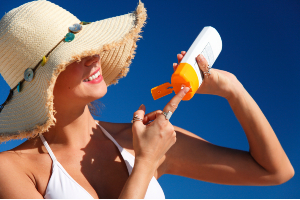 But to avoid this confusion, you can use a moisturizer sunscreen product to get the benefits of both. The next step is to nourish your skin with an eye cream. Eye cream is a sort of serum that is specifically made for eyes. The procedure of applying eye cream is to use your ring finger around your eyes in a gentle manner with a thin layer of this cream. Do not make any kind of stretch or pull at this delicate area, as it can harm your skin. The most important thing is eye creams should apply along your orbital bones. The most important tip to be remembered in this practice of applying skin care products in correct order is to apply light skin products. Usually, light skin products are layered with water based and oil based products, and they easily get penetrate into your skin. However, if you use heavy products first, then lighter products would not get the chance to sink into your skin. Layering skin care products in right order, comprises a last and important step to give each and every skin product enough time to get into your skin and provide what they supposed to do. Therefore, before proceeding towards next step, be sure that each product had enough time to settle into your skin.